Spider-man's web-slinging was a ton of fun. The Lego games on console and PC is really boring, it's just the same gameplay over and over again with rarely any changes. The only thing that was different was Lego Rock Band. Why can't we get something new like what we had back 2003 and under with Bionicle the game, Soccer Mania, Racers (in fact they could make a new one with Speed Champions), Rock Raider and my favorite when I was a kid Legoland. Star Wars Lego 2 on DS. That game deserves to be burnt in a fire. My favorite Lego game is Lego Star Wars 2: the original trilogy. If I had to pinpoint a least favorite, it would be none of them. Behold my not giving a flying kanohi dragon attitude. I have both of the Lego Indiana Jones video games, as well as the Lego Pirates of the Caribbean video game. If Lego releases a Bionicle video game, I'll get that. The Lego games on console and PC is really boring, it's just the same gameplay over and over again with rarely any changes. Yes, the mainstream TT Games do all pretty much follow the same formula. But IMO, super in-depth, complicated gameplay isn't the games. The games are all about solving fun puzzles and playing through LEGO-ified versions of our favourite pop culture series (Marvel, Star Wars, Batman). I haven't said anything about super in-depth, complicated gameplay, just something different on the table, like a LEGO racing game. just something different on the table, like a LEGO racing game. Eh, LEGO has a done quite a few different games over the years. I think they have plenty enough variety. There was apparently just LEGO Battles and LEGO Battles Ninjago. My bad. I have BOTH of those in their cases right next to me. I loved how Lego racers 2 had an open world. My favorite part was getting my car destroyed on purpose and running around the islands on foot. The game directly responsible for getting me into LEGO in the first place? 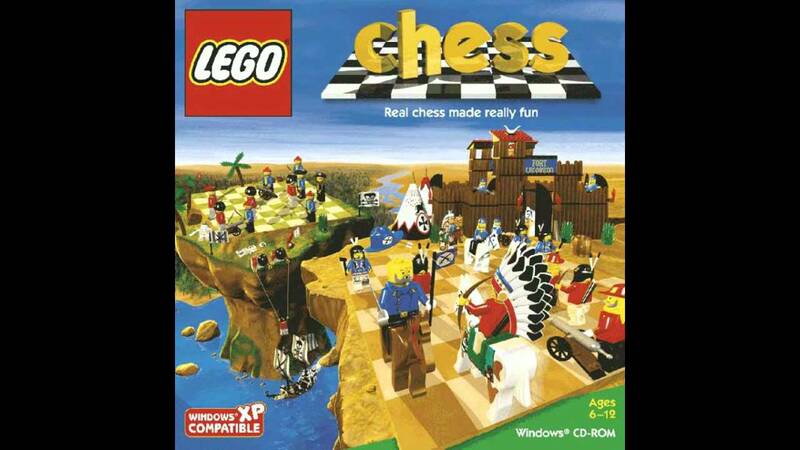 This is the game that taught me how to play chess.